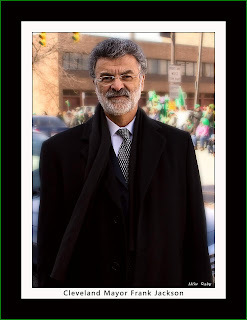 CLEVELAND, Ohio -- As he visited the East Side neighborhood devastated by serial killings, Mayor Frank Jackson told residents Friday that he felt a personal bond with the victims’ families. The remarks were genuine. Jackson’s niece lived with murder suspect Anthony Sowell in the Imperial Avenue home where the bodies of 11 women have been found.